Around the world, Americans today are celebrating Thanksgiving. I am thankful everyday to being alive and being able to gather with my family. As a veteran, I think back to the Thanksgivings I celebrated with my Army family far away from my home. It reminds me of the history of this holiday and that it was formally adopted as a national holiday during the Civil War. The fourth Thursday of November was selected for Thanksgiving by William Seward, Secretary of State under Lincoln. He wrote a speech that Lincoln gave, on October 3rd, 1863, to express his gratitude after the Union Army's victory at Gettysburg. President George Washington called for an official day of thanksgiving, but it did not come around until the administration of Abraham Lincoln. The fourth Thursday has served as the national day of Thanksgiving since then, except for 2-years during the FDR administration when it was the third Thursday of November. In the midst of a civil war of unequalled magnitude and severity, which has sometimes seemed to foreign States to invite and to provoke their aggression, peace has been preserved with all nations, order has been maintained, the laws have been respected and obeyed, and harmony has prevailed everywhere except in the theatre of military conflict; while that theatre has been greatly contracted by the advancing armies and navies of the Union. Needful diversions of wealth and of strength from the fields of peaceful industry to the national defence, have not arrested the plough, the shuttle or the ship; the axe has enlarged the borders of our settlements, and the mines, as well of iron and coal as of the precious metals, have yielded even more abundantly than heretofore. Population has steadily increased, notwithstanding the waste that has been made in the camp, the siege and the battle-field; and the country, rejoicing in the consciousness of augmented strength and vigor, is permitted to expect continuance of years with large increase of freedom. It has seemed to me fit and proper that they should be solemnly, reverently and gratefully acknowledged as with one heart and one voice by the whole American People. I do therefore invite my fellow citizens in every part of the United States, and also those who are at sea and those who are sojourning in foreign lands, to set apart and observe the last Thursday of November next, as a day of Thanksgiving and Praise to our beneficent Father who dwelleth in the Heavens. And I recommend to them that while offering up the ascriptions justly due to Him for such singular deliverances and blessings, they do also, with humble penitence for our national perverseness and disobedience, commend to His tender care all those who have become widows, orphans, mourners or sufferers in the lamentable civil strife in which we are unavoidably engaged, and fervently implore the interposition of the Almighty Hand to heal the wounds of the nation and to restore it as soon as may be consistent with the Divine purposes to the full enjoyment of peace, harmony, tranquility and Union. 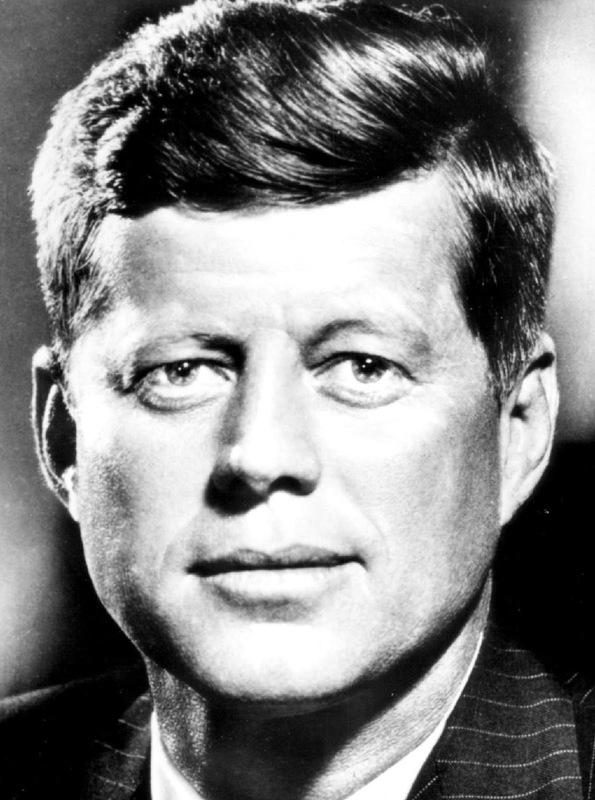 One of the conspiracies that involves Freemasonry is that President John F. Kennedy was assassinated by us for exposing us in a speech he gave in 1961. Often conspiracy theorists cherry pick a few quotes from this speech to demean and defame Freemasonry. They also state that his speech concerned Freemasonry and all fraternal orders within the United States. Then they say that because President Kennedy gave this speech the Freemasons retaliated by having him assassinated. When reading the entire speech one can easily see the absurdity of this argument. In this article, I will provide a transcript of the entire speech (from the Miller Center) before addressing and analyzing it. You may remember that in 1851 the New York Herald Tribune, under the sponsorship and publishing of Horace Greeley, employed as its London correspondent an obscure journalist by the name of Karl Marx. If only this capitalistic New York newspaper had treated him more kindly; if only Marx had remained a foreign correspondent, history might have been different. And I hope all publishers will bear this lesson in mind the next time they receive a poverty-stricken appeal for a small increase in the expense account from an obscure newspaper. Nevertheless, my purpose here tonight is not to deliver the usual assault on the so-called one-party press. On the contrary, in recent months I have rarely heard any complaints about political bias in the press except from a few Republicans. Nor is it my purpose tonight to discuss or defend the televising of Presidential press conferences. I think it is highly beneficial to have some 20,000,000 Americans regularly sit in on these conferences to observe, if I may say so, the incisive, the intelligent and the courteous qualities displayed by your Washington correspondents. It is true that my predecessor did not object as I do to pictures of one's golfing skill in action. But neither on the other hand did he ever bean a Secret Service man. My topic tonight is a more sober one of concern to publishers as well as editors. I want to talk about our common responsibilities in the face of a common danger. The events of recent weeks may have helped to illuminate that challenge for some; but the dimensions of its threat have loomed large on the horizon for many years. Whatever our hopes may be for the future—for reducing this threat or living with it—there is no escaping either the gravity or the totality of its challenge to our survival and to our security—a challenge that confronts us in unaccustomed ways in every sphere of human activity. This deadly challenge imposes upon our society two requirements of direct concern both to the press and to the President—two requirements that may seem almost contradictory in tone, but which must be reconciled and fulfilled if we are to meet this national peril. I refer, first, to the need for far greater public information; and, second, to the need for far greater official secrecy. But I do ask every publisher, every editor, and every newsman in the nation to reexamine his own standards, and to recognize the nature of our country's peril. In time of war, the government and the press have customarily joined in an effort, based largely on self-discipline, to prevent unauthorized disclosures to the enemy. In time of "clear and present danger," the courts have held that even the privileged rights of the First Amendment must yield to the public's need for national security. Today no war has been declared—and however fierce the struggle may be—it may never be declared in the traditional fashion. Our way of life is under attack. Those who make themselves our enemy are advancing around the globe. The survival of our friends is in danger. And yet no war has been declared, no borders have been crossed by marching troops, no missiles have been fired. It requires a change in outlook, a change in tactics, a change in missions—by the government, by the people, by every businessman or labor leader, and by every newspaper. For we are opposed around the world by a monolithic and ruthless conspiracy that relies primarily on covert means for expanding its sphere of influence—on infiltration instead of invasion, on subversion instead of elections, on intimidation instead of free choice, on guerrillas by night instead of armies by day. It is a system which has conscripted vast human and material resources into the building of a tightly knit, highly efficient machine that combines military, diplomatic, intelligence, economic, scientific and political operations. Nevertheless, every democracy recognizes the necessary restraints of national security—and the question remains whether those restraints need to be more strictly observed if we are to oppose this kind of attack as well as outright invasion. For the facts of the matter are that this nation's foes have openly boasted of acquiring through our newspapers information they would otherwise hire agents to acquire through theft, bribery or espionage; that details of this nation's covert preparations to counter the enemy's covert operations have been available to every newspaper reader, friend and foe alike; that the size, the strength, the location and the nature of our forces and weapons, and our plans and strategy for their use, have all been pinpointed in the press and other news media to a degree sufficient to satisfy any foreign power; and that, in at least one case, the publication of details concerning a secret mechanism whereby satellites were followed required its alteration at the expense of considerable time and money. On many earlier occasions, I have said—and your newspapers have constantly said—that these are times that appeal to every citizen's sense of sacrifice and self-discipline. They call out to every citizen to weigh his rights and comforts against his obligations to the common good. I cannot now believe that those citizens who serve in the newspaper business consider themselves exempt from that appeal. Every newspaper now asks itself, with respect to every story: "Is it news?" All I suggest is that you add the question: "Is it in the interest of the national security?" And I hope that every group in America—unions and businessmen and public officials at every level—will ask the same question of their endeavors, and subject their actions to this same exacting test. It is the unprecedented nature of this challenge that also gives rise to your second obligation—an obligation which I share. And that is our obligation to inform and alert the American people—to make certain that they possess all the facts that they need, and understand them as well—the perils, the prospects, the purposes of our program and the choices that we face. I not only could not stifle controversy among your readers—I welcome it. This Administration intends to be candid about its errors; for, as a wise man once said: "An error doesn't become a mistake until you refuse to correct it." We intend to accept full responsibility for our errors; and we expect you to point them out when we miss them. Without debate, without criticism, no Administration and no country can succeed—and no republic can survive. That is why the Athenian law-maker Solon decreed it a crime for any citizen to shrink from controversy. And that is why our press was protected by the First Amendment—the only business in America specifically protected by the Constitution—not primarily to amuse and entertain, not to emphasize the trivial and the sentimental, not to simply "give the public what it wants"—but to inform, to arouse, to reflect, to state our dangers and our opportunities, to indicate our crises and our choices, to lead, mold, educate and sometimes even anger public opinion. And so it is to the printing press—to the recorder of man's deeds, the keeper of his conscience, the courier of his news—that we look for strength and assistance, confident that with your help man will be what he was born to be: free and independent. When reading this entire speech and taking into account the audience to which he was speaking to, the venue he was speaking at, and the events that occurred prior to the speech one can clearly see that JFK was trying to justify the recent Bay of Pigs invasion and also request that the American press exercise some self-restraint with information that is sensitive to the nation's defense and military operations. This is the opinion I take and which is taken by academic scholars. To anti-Masons and conspiracy theorists the speech has nothing to do with the press, but has become known as the "Secret Society Speech." Anti-Masons attempt to use this sentence as a means to justify their attack on fraternal groups that meet in private. Disregarding the fact that just prior to this sentence, Kennedy called for the "need for far greater official secrecy", Kennedy also states throughout the entire speech that it is centered on the roles between the President and the press. It's clear that Kennedy is speaking on the public's perception of secrecy and the public administration of the federal government. He is talking about the government being secretive and refusing to release information to the public. He was also being critical of the CIA and their failed attempts to supplant the Castro regime in Cuba. The Bay of Pigs incident occurred 10-days prior to this speech. This was a huge disaster and an embarrassment to the Kennedy administration, which had only been in power 3-months. Five days prior to this speech, Kennedy appeared before the Society of Newspaper Editors where he spoke about the same topics and the "President and the Press" speech was a continuation, the incident still fresh in everyone's minds. To anti-Masons though, JFK mentioning "secret societies," "secret oaths," and "secret proceedings" is enough to convince them that the President was condemning groups like Freemasonry. As I mentioned in Secrecy: What's the Big Deal?, one of the biggest criticisms I see held against Freemasonry is that we are a "secret society" and that devious and sinister plots are conspired in our meetings. I would argue that a true secret society is one that doesn't disclose membership, allow members to wear insignia, hold public ceremonies, or, particularly in America, display their meeting places so prominently. The misuse of Kennedy's speech is just a continuation of the agenda by anti-Masons and conspiracy theorists to make secrecy taboo, ignoring the fact that secrecy is a part of human nature and enjoyed by everyone. Everyone keeps secrets and practices secrecy at some level, and those who would deny their own personal secrecy couldn't withstand much questioning concerning intimate aspects of their lives without, as David Flaherty says, "capitulating to the intrusiveness of certain subject matters." Anti-Masons claim that because Kennedy gave this speech that Freemasons, at least the "high level" Masons, had him killed. Many will make it sound like Kennedy's assassination happened shortly after giving speech, but in reality Kennedy was assassinated over two and a half years after giving the "President and the Press" speech. Ironically, if we use the same standards of what constitutes a "secret society" according to conspiracy theorists, JFK belonged to one. JFK was a member of the Knights of Columbus. Most anti-Masons that I've talked to ignore that fact about JFK or excuse it as being acceptable since it's attached to the Catholic Church. The truth of the matter is that JFK didn't think Freemasonry was some sinister cabal scheming against the United States. Anti-Masons commonly take quotes out of context in the hopes that the unknowing and unwary will be swayed by the strange-sounding titles and the intermingling of casually-related phrases. Contrary to what anti-Masons and conspiracy theorists will say, JFK was not discussing private fraternal groups (or "secret societies"), but was merely addressing a current issue. 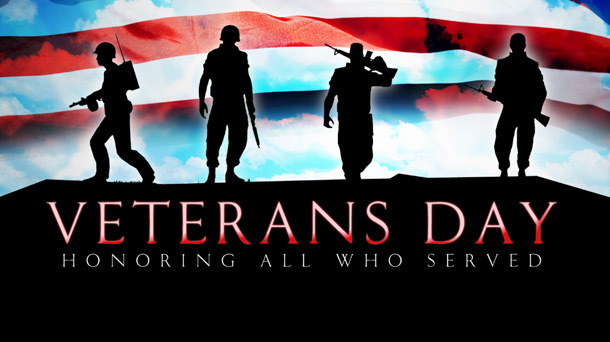 Happy Veterans Day to all who have served and to those still serving. Throughout the United States of America, citizens are gathering together and casting their ballots on candidates for public office at all levels of government! While many Americans are pessimistic about voting in Presidential elections, this election is more than just the Presidency! On this ballot Americans will be voting for all matter of measures and candidates, to include local and municipal elections which have the biggest impact on a citizen's daily life and a single vote could be the deciding vote on an important measure or in electing a particular candidate. Voting is not only a right guaranteed to the citizenry of the United States, but it is also our civic duty and vital to the continuation of our Republic. As Masons we are charged to be "exemplary in the discharge of your civil duties" and this is one of those duties Brothers. Regardless of your political beliefs and/or your party affiliation, get out and vote today! Where crimsonblank the windows flare. Great Overseer, I make my prayer.